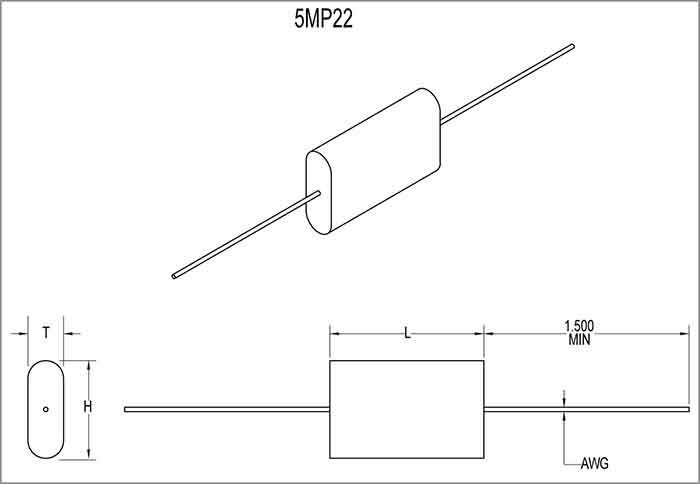 5MP2 Series | Film Capacitors - Electronic Concepts Inc. 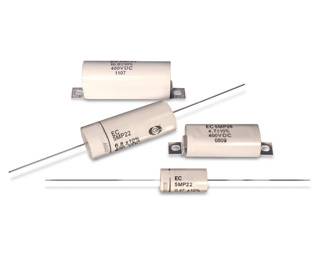 Switching power supply capacitors that require snubber and high current applications. Until now, the prevailing wisdom had been that all brands of polypropylene capacitors were virtually identical. 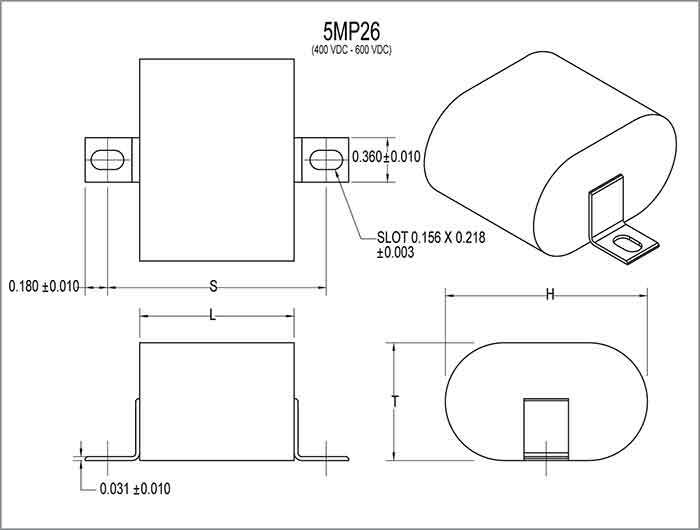 The new Electronic Concepts 5MP2 Series is proof that this is no longer the case. 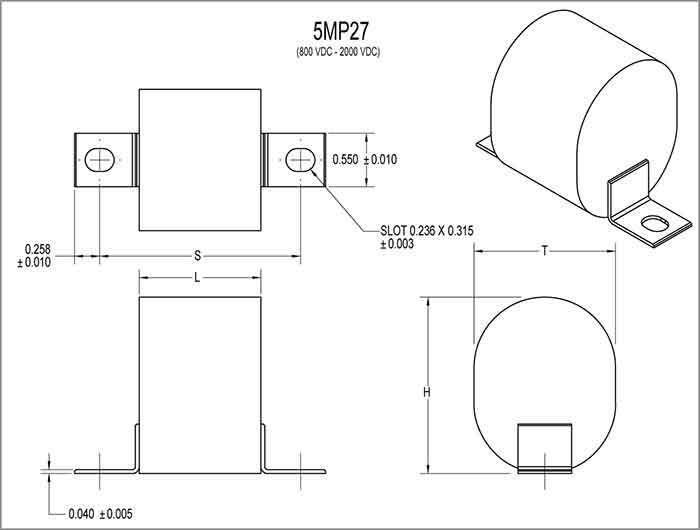 Electronic Concepts is the only major manufacturer to offer polypropylene capacitors in three different configurations. 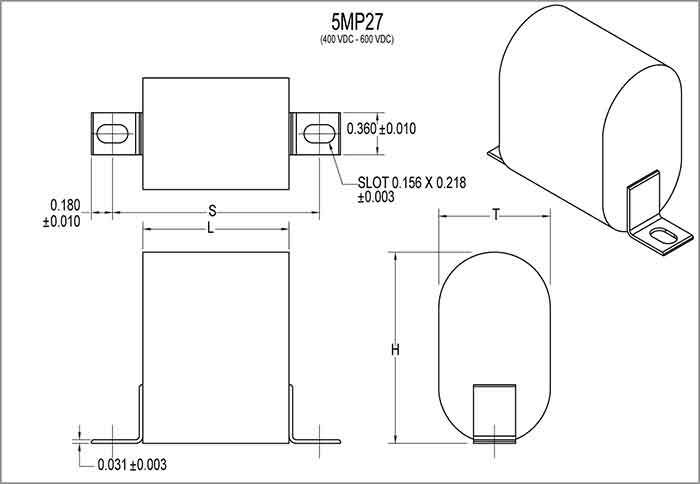 Each is designed to fill a specific mechanical layout requirement; encompassing such parameter goals as optimizing pcb density or spacing. Now for the first time the circuit design dictates which EC capacitor to select! In addition, because radial tab terminals are available, greater reliability can be realized, especially in hostile environments such as shock and vibration. 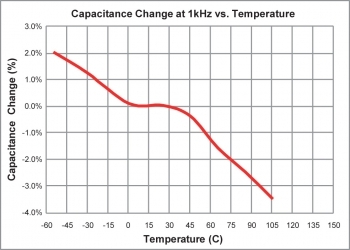 Tabs also allow for lower inductance and higher RMS current carrying capacities versus other brands that can only be specified with wire leads. In addition, tabs offer the option of surface mounting. Tolerances of ±5%, ±2% & ±1% are also available. 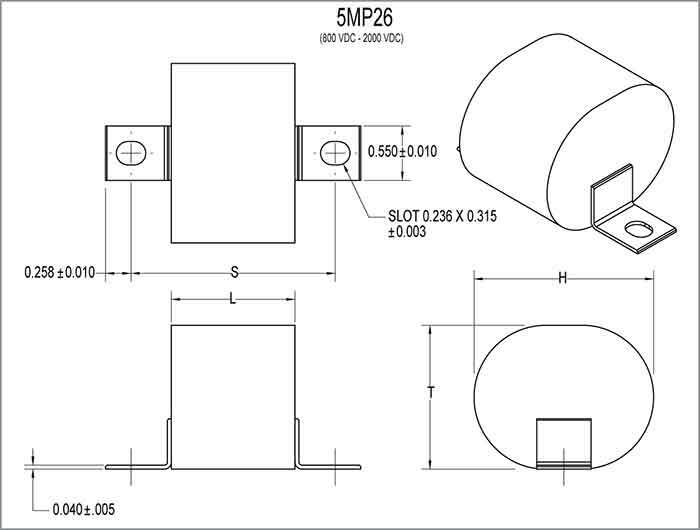 Polypropylene film in a polyester wrap with epoxy endfill. 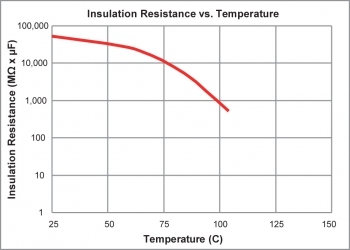 Note: RMS current ratings based on maximum capability of the capacitor element. For capacitor style with leads, the RMS current rating is limited by the lead wire as follows: #16: 19 AMPS; #18: 16 AMPS; #20: 12 AMPS. 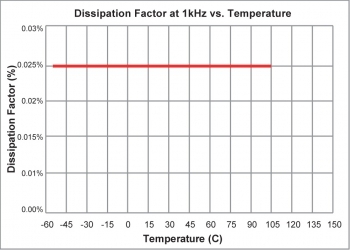 When measured at 1kHz, the dissipation factor will not exceed 0.1%.